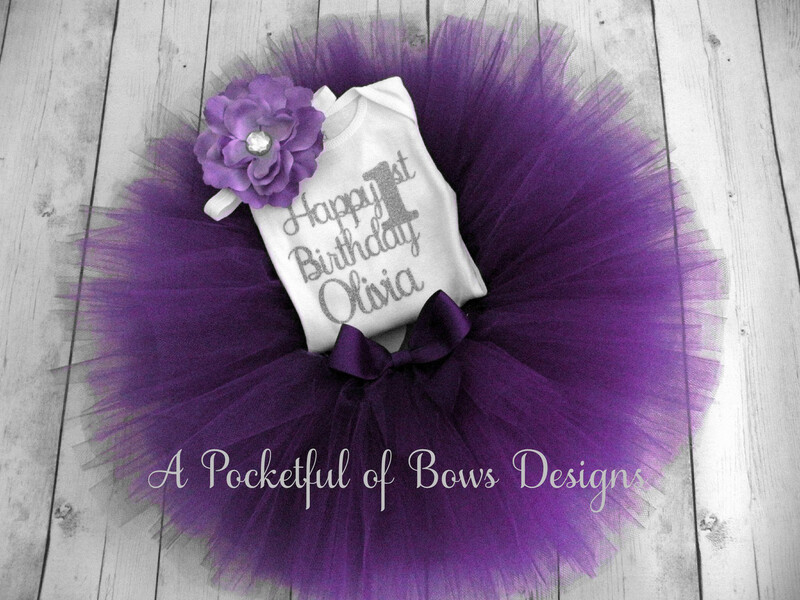 Purple birthday girl tutu outfit for 1st, 2nd, 3rd, 4th and 5th birthday girl. 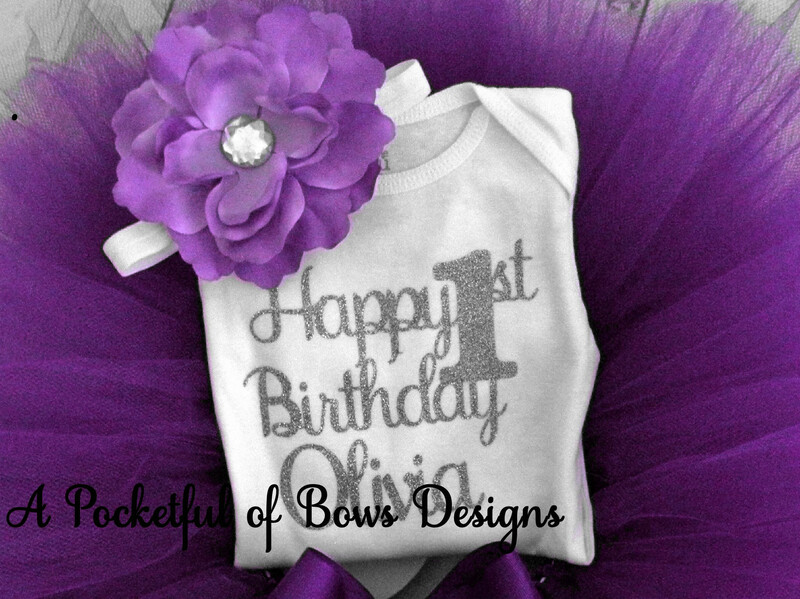 The bodysuit/ tee shirt has your daughter birthday age in glitter silver. The tutu skirt is extra fluffy style tied and sewn so it won't come apart.